In this live-laser-coaching session, Lara McCullough, coached me through some of my branding and marketing challenges. Using the same methodologies she has employed with many of the world’s most well-known brands, she was able to tailor her time and walk me through understanding and next steps. 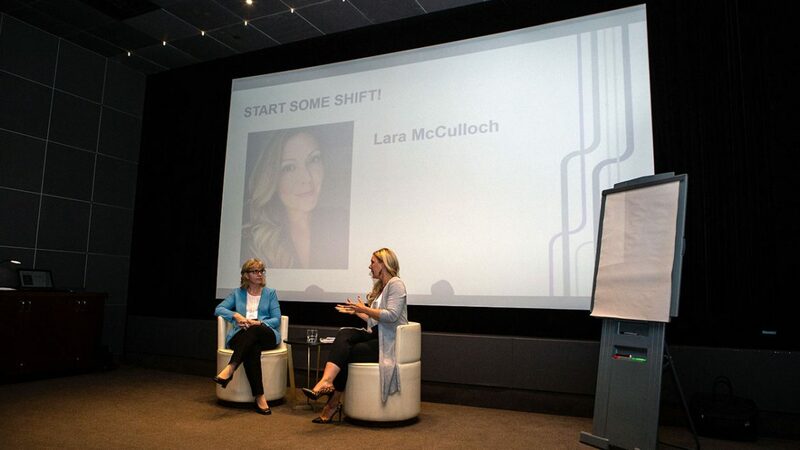 Lara McCullough is a renowned, results-driven marketing expert with over 25 years as a Brand Consultant for multinationals like Cadbury-Adams, Unilever and Shell, Lara brings ‘Big Brand Thinking’ to small business. Her fractional CMO consulting firm is focused on building growth, reputation and evangelism for her clients. She’s been touted as a pioneering force in the marketing revolution, founding one of the world’s first twitter communities. She’s travelled throughout the world as a keynote speaker and workshop facilitator, changing the way that companies think about their brands. Here are my 3 takeaways from ILEA‘s Overcome Your Business Branding Challenges. One of the most common frustrations is not knowing how to clearly speak our value to prospective customers so you never hear, “you’re too expensive” again. Getting clear on your value and being able to articulate it succinctly and with confidence helps you charge more, sell faster, attract the right people to your business, get more referrals and GENERATE MORE MONEY. When you get clear on your value, everything else becomes clear too. All of a sudden your marketing starts working, your sales meetings are a breeze, your website copy flows. Because you’re clear on what matters most: why your prospective customers should care about you. Thank you to ILEA for hosting, Bespoke is proud to be a supporter of the GROW program. Follow us on Twitter, Facebook, Instagram and LinkedIn to stay up-to-date with the latest Bespoke Audio Visual news.